Oracle Fusion Human Capital Management HCM Training is a complete software training suite of Human Resource management products that offers everything you need for an organization. Oracle Fusion provides every member in the organization value by revolutionising the business of HR management. Oracle Fusion Human Capital Management HCM Training is built from the bottom up to help you do things better and to work better as a team. It provides necessary integrated intelligence, social media networking tools, and mobile accessibility. Fusion Duniya provides you Oracle Fusion HCM Online Training from Oracle Industry Experts. Lookups, value sets, and flex fields. Recently i got placed on Oracle HCM Cloud platform. I am trained from Fusion Duniya institute in Hyderabad. I would like to thank for their support. Hi i am Chandra, i was a student of Fusion Duniya. I have learned many things on Oracle fusion HCM training. Friendly and supportive faculty to guide at anytime. hello guys I am Bhavana at Fusion Duniya I took self-paced videos of Fusion HCM. Actually First I watched the Demo Videos and after watching that I took the self-paced videos. All the videos are really good and I get a instance access plus additional they help me in preparing the interview questions also. Thank you so much guys. Best training institute for Fusion HCM. Hello guys I am debashree working in Pune. I took Fusion HCM online classes. Now my classes are over. I had a very good experience with overall training and team also. Customer support is always available for you if you have any training related issue. Trainers also experienced in the domain; overall this is the best institute to learn oracle Fusion HCM. Hi Shubhangi here, My training experience with Fusion Duniya is Really Good. Recently I completed my training here and the training was really good. Trainer clear my doubts and they provide good study materials. Hi, this is Mahesh best Trainers for Oracle Fusion HCM. They Support me from the begin to end in the training. The live projects help me to gain more knowledge. Thank you. 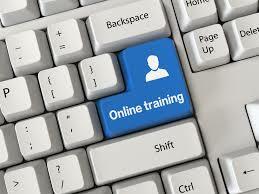 Hi Trupthi here..taken self paced training with Fusion Duniya. I got instance access to the material n materials are very very professional n good. I refer this institute to everyone. I am Rahul.I completed Fusion HCM Course at Fusion Duniya recently. My experience is really good, and I must say trainers are highly professional and experienced also. Hi all...To do Oracle fusion HCM online training, I had joined Fusion Duniya. My duration of training was 2 months. They are providing the best experience faculty.They way of teaching was good.This institute has a good learning environment. Recently I completed Oracle Fusion HCM training from Fusion Duniya. 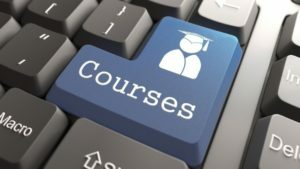 I am happy with the training because truly speaking I learned a lot about HR management, Payroll functionality and how to Develop Security and Validation Strategies. Overall all topics they covered. I strongly recommend this institute to learners. Hai. am Younus. I joined Fusion Duniya to learn Oracle Fusion HCM and I learn with real time knowledge with experience faculty. Thank you for the training. Hai I am Akhil. I have taken the course oracle fusion HCM form Fusion Duniya. The faculty is good and they teaching excellent. Thank you. I am Lakshmi from Chennai. I have taken a course for Oracle Fusion HCM. Thanks to trainers for their support. The way he explained the topics in real time application was really awesome. I recommend this institute to all who really want to learn Fusion HCM. really Nice institute.